It’s been barely 24 hours since we first talked about the Samsung Galaxy A40. 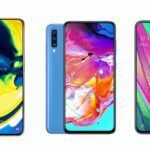 This handset, as evident from its name, seems to be positioned between the Galaxy A30 and the Galaxy A50, both of which are currently on sale here in India. The next logical question that comes to the mind is whether the Galaxy A40 would officially make it to India. Looking at the spec sheet, however, it seems unlikely that this handset would ever make it out of Europe. 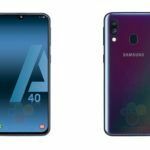 In fact, we have reasons to believe that the Galaxy A40 is a slightly modified version of the Galaxy A30 designed for the European market. Anyway, let us now check out the specifications of the device in detail. The Samsung Galaxy A40 features a 5.9-inch Super AMOLED display with full HD+ resolution. This panel has a U-shaped notch at the top that Samsung refers to as the Infinity U. 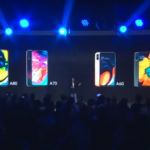 This panel if you have noticed, is smaller than the 6 plus inch panels that the Galaxy A30 and the Galaxy A50 come with. 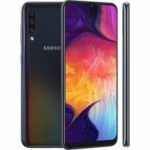 The Galaxy A40 is powered by Samsung’s own Exynos 7885 chipset which is near-identical to the Exynos 7904 chipset used on the Galaxy A30. The handset is offered in a single 4GB RAM variant that gets 64GB of onboard storage. The phone also gets a microSD card slot for additional storage. The camera setup on the Galaxy A40 consists of a 16-megapixel primary camera and a 5-megapixel ultra wide angle camera. At the front, the handset gets a 25-megapixel fixed focus camera with f/2.0 aperture for selfies and video calling. The phone promises say long battery life thanks to a fairly large 3,400 mAh battery. The handset also supports 15W fast charging with the inbuilt fast charger. On the software side of things, the Samsung Galaxy A40 runs Samsung’s new One UI atop an Android 9 Pie core. 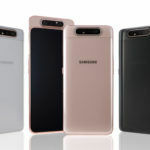 As mentioned earlier, the Samsung Galaxy A40 seems to be targeted specifically at the European market. The handset might not in its current form make it to low-cost markets like India and the rest of Asia. 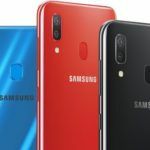 In Europe, the Galaxy A40 is offered in four color options – Black, Blue, Coral, and White. The price for the single 4GB RAM version with 64GB of storage is around 249 Euros which translates to INR 20,000. The handset is expected to go on sale across Europe starting April 10. 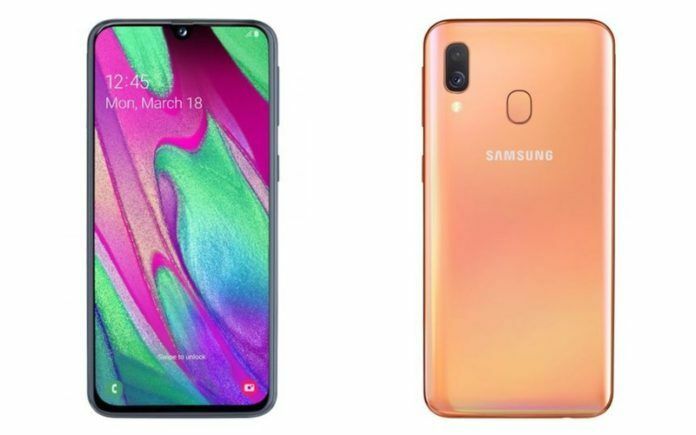 Samsung Galaxy A80 vs Galaxy A70 vs Galaxy A40: What’s the Difference in Price, Specs, Features?